The Moon is perhaps the most remarkable object in the night sky. It is fun and easy to observe because it is relatively close to the Earth. You can observe the gradually changing shape of the moon throughout a month and study maria, highlands, craters and other features on the lunar surface. It takes the moon 29.5 days to turn once on its axis. Interestingly, it also takes 29.5 days for the moon to orbit the Earth. As a result, we always see the same side of the moon. The other side is often incorrectly called the dark side of the moon. This is incorrect because it isn't always dark; it is actually fully engulfed in light whenever we experience a new moon. Total lunar eclipses are also exciting to observe and learn about because they happen only on rare occasions. A lunar eclipse happens when the moon passes through the Earth's shadow. This temporarily blocks out the sunlight which shines on the moon and makes it appear bright in the sky, so during a lunar eclipse, the face of the moon darkens slowly as it enters the shadow region. During a partial eclipse, the moon just goes through the edge of the shadow, but never darkens completely. During a total eclipse the moon is completely covered by the shadow for about the hour! The moon is not completely invisible once it passes through the Earth's shadow; it will appear dimly lit due to light that's bent by the Earth's atmosphere. Since a lunar eclipse takes a long time to happen, the best way to observe one is just to look at the moon every 10 minutes keeping track of how the shadowed region appears to be growing. It's as if someone keeps taking bites out of the moon! You can try to determine the color of the moon during the totality using the Danjon scale. Photographing lunar eclipses is fun and easy. All you need is a camera with a manual control and a tripod. The type of pictures that you want to make will determine the lenses that you need to use. If you are planning to take panorama pictures of the eclipse or use the star trail method, choose the wide angle lens (28mm or 35mm). However, if you want to make series of the single pictures of the moon disk, than use a telephoto lenses (50mm-300mm) or small telescope. Take your photos every ten minutes during the partial phase and every 5 minutes during totality. The Moon is a perfect object for astronomical observation since it appears so large in the sky. First, find a detailed map of the visible side of the Moon. Try to find lunar maria, which are dark areas on the moon formed from ancient volcanic eruptions. The term comes from the Latin word "maria" meaning "seas" because early astronomers thought that these areas were actually seas. You can identify maria with naked eye, but you will see more detail with binoculars or a small telescope. 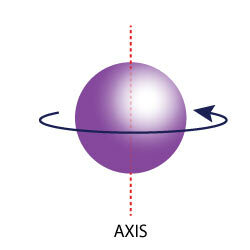 Be aware that the telescope gives an upside down view, while the map shows the direct view of the Moon. After identifying lunar maria, try to find some of the larger craters like Tycho, Kepler, and Copernicus. Do you notice the bright rays surrounding them? The best time to look at the craters is when the moon is growing, or gibbous, because they are lit by the Sun from the side and you can clearly distinguish their profile and shadows. During the full moon the light is directly overhead, so craters lose their shadows and are harder to distinguish. Lunar eclipses are not as rare as solar eclipses. While solar eclipses are visible only within a small region on Earth, lunar eclipses can be seen from the entire nighttime hemisphere on Earth. Lunar and solar eclipses always appear in patterns that repeat every 18 years and 11-1/3 days. This cycle, discovered by ancient Babylonian astronomers, is called saros. The color of the full eclipsed moon may vary from very dark gray to bright red orange, depending of conditions of the Earth's atmosphere. Two main factors that affect the color are solar activity and strong volcanic eruptions on Earth. The gases and ashes thrown in the atmosphere make the moon look reddish during the total eclipse. The star trail technique is the simplest way to photograph lunar eclipses. All you have to do is to turn you camera at the part of the sky where the moon will move and leave the lens open during the whole eclipse. You will get one picture with the moon trail starting as a bright white arc that gradually becomes thinner and reddish. Very dark eclipse. Moon almost invisible, especially at greatest eclipse. Dark Eclipse, gray or brownish in coloration. Details distinguishable only with difficulty. Deep red or rust-colored eclipse. Very dark central shadow, while outer edge of umbra is relatively bright. Latin for ocean, these are large plains found on the Moon. 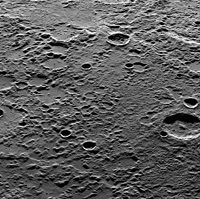 A crater close to the Moon's south pole, 86 kilometers in diameter, named after the astronomer Tycho Brahe. Kepler is the name of two different craters in the Solar System: one on the Moon, between Oceanus Procellarum and Mare Insularum; and the other on Mars, in the Eridania quadrangle. A large crater located on the Moon's Oceanus Procellarum and named after Nicolai Copernicus. It is 93 kilometers in diameter. Description Detail of Mercury terrain.